Sciatica is a common back ailment that affects approximately one in ten adults in the United States. It is most prevalent in people between the ages of 25 and 45. Sciatica is characterized by a shooting pain that originates in the lower back and travels down through the hip, buttock, and back of the leg. The pain can be so severe that it inhibits mobility and can prevent people from working, taking care of their home, or just enjoying their life. Gentle chiropractic treatments have been found to be extremely effective in alleviating the pain and curing the condition. 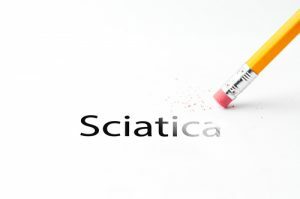 Sciatica is a condition that affects the lower back, specifically pain that travels along the sciatic nerve path causing lower back and leg pain. This path originates in the lower back and extends down each side of the hip, buttocks, and down the leg to the feet. Usually, only one side is affected during a case of sciatica. While sciatica pain can be severe, the majority of the time the condition is resolved in a matter of weeks without intervention. Most family doctors will prescribe medication to treat the pain and relax the muscles that surround the sciatic path in an effort to provide the patient with some relief. Gentle chiropractic care has been shown to be very effective in treating sciatica. It is non-invasive and does not use medications, making it an optimal choice for many patients. There are various treatments that an Overland Park Chiropractor may use or recommend. They may be used alone or in conjunction with other therapies. Gentle Adjustments. Gentle and specific adjustments are the core of chiropractic treatment. It helps to realign the spine, freeing restricted movement, and helps bring the body back into its proper alignment so that it functions better and more effectively. It also helps to reduce the lower back and leg pain that is associated with nerve inflammation, particularly that associated with sciatica. An Overland Park Chiropractor may incorporate exercises and stretches into their treatment for sciatica. This often depends on the patient’s individual needs, the severity of the condition, and their lifestyle and habits. Since each patient is different, your chiropractor should always do an extensive consultation and examination process that may include X-rays of your spine. This helps the Chiropractor in Overland Park to better understand the best, most effective approach for you specifically.